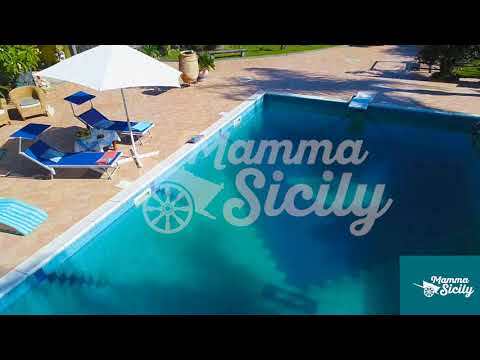 This elegant villa is located nearby the famous beach of Marina di Cottone, situated in quietness among a beautiful garden (approximately 4500 sqm) with tropical and rare plants, where you can spend pleasant moments enjoying swimming in the pool, having sun or making barbeque at the summer kitchen! And you are situated just at the bottom of the Etna so this combination isn’t bad at all! The owners take care of each detail in the property (for example the stairs that take from the pool to the main entrance of the house are decorated with antique pieces of ceramics). You can admire the famous ceramics outside and inside the house. There are a lot of tables, chairs and beach chairs for huge groups of people. There is an outside bathroom and a shower too. The villa consists of three floors but offers two separate entrances - the main part offers a large lounge, a kitchen, 3 bedrooms and 2 bathrooms. The smaller part of the villa is a basement. It has a big kitchen, 1 bedroom and a bathroom. Both parts are in communication with stairs and at the same time can be separated units with proper entrances. The main entrance leads directly into an open space with large kitchen in Sicilian country style, important dining table and living room with sofas, armchairs and television. On this ground floor there are also a bathroom fitted with a bath tub, sink, bidet and toilet and a double bedroom! The staircase leads to the first floor where you can admire a spectacular view from the huge terrace: a magnificent Etna and the endless sea, two symbols of Sicily! You can reach the terrace from a cute little living room situated between two bedrooms. Both bedrooms are double and one has slightly sloping roof and another single bed. On this floor, a big elegant bathroom has a shower and a tub. The basement is reached directly from the swimming pool. The hallway leads into a lounge kitchen fitted with an oven, hob, microwave, a fridge/freezer, and a washing machine. The living is designed as a place where to play billiard, table football…anyway, where you can have fun! There is a double bedroom with a single bed and a bathroom with a shower. On this floor, a big elegant bathroom has a shower and a tub. The owners take care of each detail in the property (for example the stairs that take from the pool to the main entrance of the house are decorated with antique pieces of ceramics). This wonderful villa is located a kilometer from Fiumefreddo, a beautiful town of Catania-Taormina area. The beach is just 2000 meters away. We suggest you visit Castello degli Schiavi (1 km), jewel of the 18th century Sicilian rural baroque, located only 900 meters away, famous all over the world because it has been used several times as a film set. In 1968 Pier Paolo Pasolini shot some parts of L' orgia; he reached world fame thanks to Francis Ford Coppola who preferred it for the setting of the main scenes of The Godfather, both part I (1972) and II (1974), as the unforgettable explosion of the car after the wedding. The pearl of Sicily, one of the worldwide masterpieces of beauty: here it is Taormina (10 km's), an evergreen location that has attracted people since the ancient times. Archaeology, myth, a sort of Arab architecture style, amazing landscapes, a blue sea, and such a noble atmosphere, gives Taormina a unique charm. A walk in Via del Corso is an unforgettable moment to do not miss among exclusive shops, delicious restaurants and coffee, stunning views of the sea, the Greek theatre, the terrifying shape of Etna volcano on the background. Few kilometers away from the downtown, here it is one of the most beautiful place in the world: Taormina mare (Mazzarò, Spisone, Isolabella), with so many lido (private beaches) where one can enjoy a meal by the sea. Other two great locations (very good for fisheries and beaches), are Letojanni (5 kms) and Giardini Naxos (1 km), the latter with the ruins of Naxos, the first Greek settlement in Sicily (VIII b.C.). In Catania (15 km's) I suggest parking the car in Piazza Alcalà and then have a walk: let's start from the worldwide famous Pescheria, then to Piazza Duomo (the heart of Catania) and from it take the Via Etnea, the main street of the town, a pedestrian walking full of shops, cafe's and wonderful buldings in Baroque style. 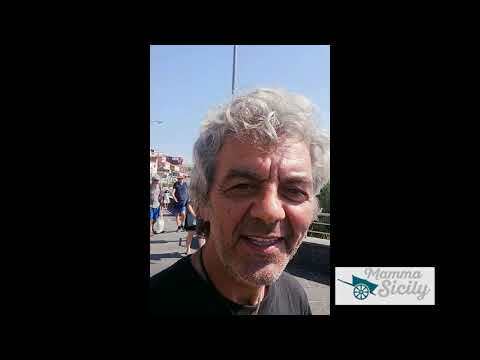 Let's walk for about a kilometer, visiting the Roman amphitheatre (in Piazza Stesicoro) until arrive to the Villa Bellini (Catania's public garden). The electricity is included up to a consumption of kWh 300 per week. Beyond that limit it will have a cost of € 0,40 per kWh. Mamma's General Manager. Half Sicilian, half Croatian, entirely Mediterranean!